Retailers are interested in adopting the Internet of Things in the coming years, and better customer experience is one of the driving forces. 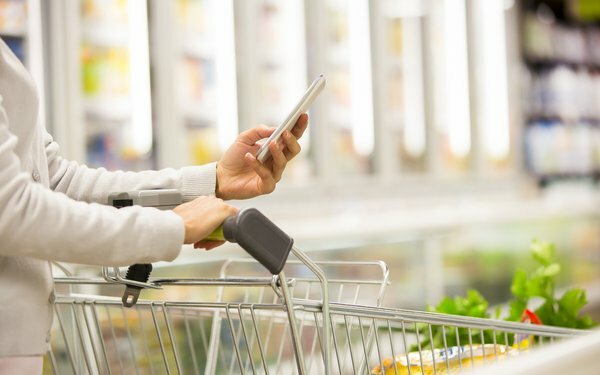 Bringing digital capabilities to the physical shopping experience is increasingly important, and retailers worldwide say the Internet of Things may be the way to do it, according to a new study. The study, conducted by Research Now and Qualtrics for Zebra Technologies, comprises a global survey of 1,700 executives across multiple retail segments. Almost three-quarters (70%) of executives said they plan to use beacons for location-based marketing by 2021, according to the study. “Every inch of the retail industry is changing, from the aisles of the warehouse to the shelves of the store, and retailers are driving this change in a race to better serve customers,” stated Jeff Schmitz, senior vice president and chief marketing officer at Zebra Technologies. “Retailers are poised to meet and exceed customer expectations with new levels of personalization, speed and convenience,” Schmitz said. The two main focuses appear to be related to tracking. Retailers seem to be interested in real-time tracking of inventory throughout the supply-chain, as well as the customers interested in buying that inventory while in-store. Almost three quarters (72%) of executives said they plan to utilize sensors, analytics and automation to re-engineer their supply chain to enable real-time product visibility, according to the study. Slightly more (75%) said they plan to be able to know which customers are in a store and be able to tailor the in-store experience to those customers on an individual basis by 2021. 1 comment about "70% Of Retailers Investing In Beacons For Location-Based Marketing". Devika Girish from MobStac, March 17, 2017 at 5:32 a.m.